Welcome to this month’s FoodieCast. In March’s podcast, AFBF’s Miranda McDaniel takes a deeper look at one of 2013’s trending foods: duck eggs. Farmers John Metzer, of Metzer Farms, and Lesley Brabyn, of Salmon Creek Ranch, weigh in on why duck eggs are an egg-cellent way to experiment with a unique, but quality protein. 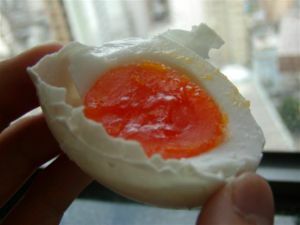 To find out more about duck eggs, click here. FoodieCast scans the nation’s food scene to talk with leading producers, chefs, marketers, industry representatives and consumers to bring you the latest food trends. To learn more about the consumer-driven marketplace and how it influences agriculture, tune in to FoodieCast here. This entry was posted in Ag Facts, Focus on Agriculture, FoodieCast and tagged Arizona Farm Bureau, Business, Egg, Eggs and Egg Substitutes, Fill Your Plate, food, Food and Related Products, FoodieCast, Meat and Seafood, Poultry, United States. Bookmark the permalink.